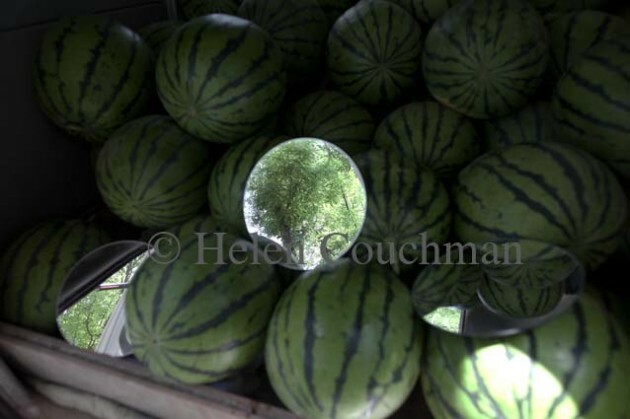 Couchman has been making work about changing landscapes in various places for many years. 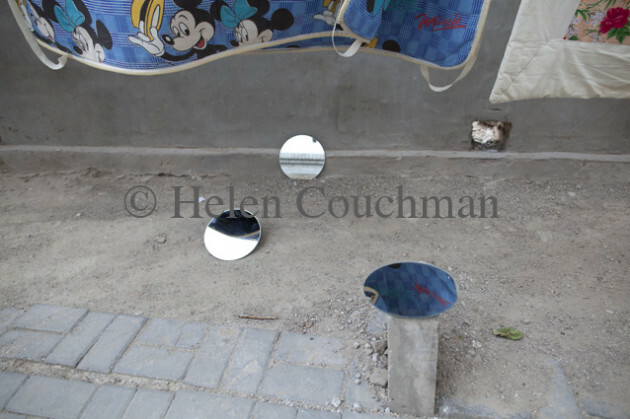 Since working in Beijing, her practice has often focused upon exploring scale in her images and the mix of old and new she sees around her. 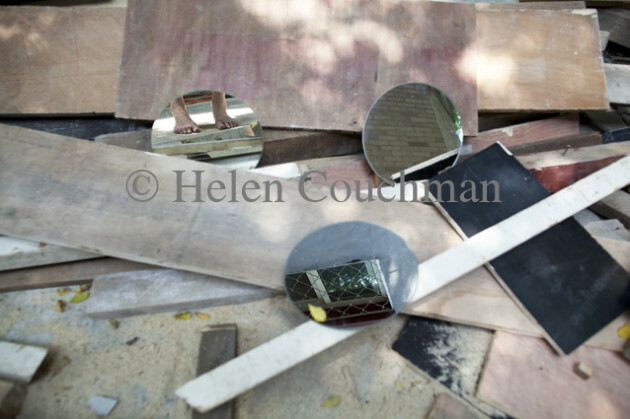 She has used printmaking, drawing, photography and installation to communicate these ideas. 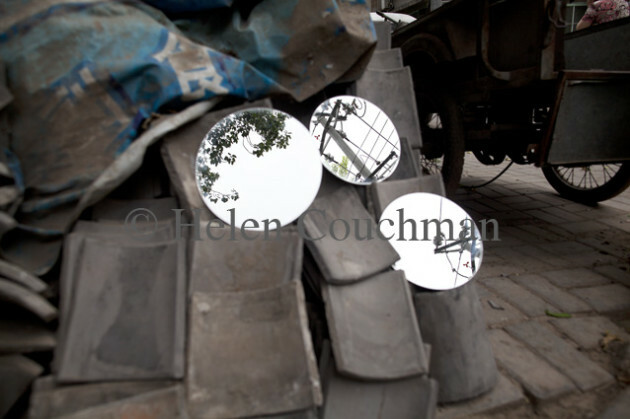 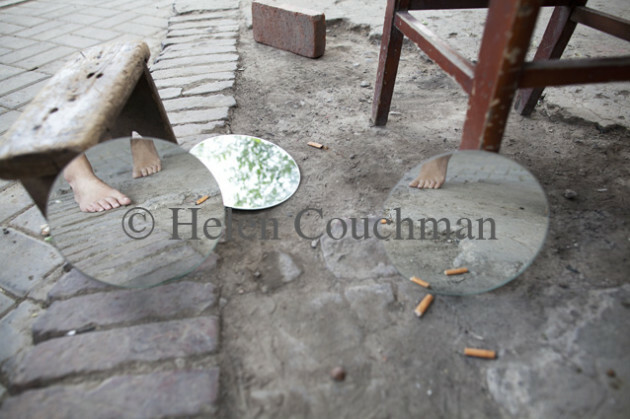 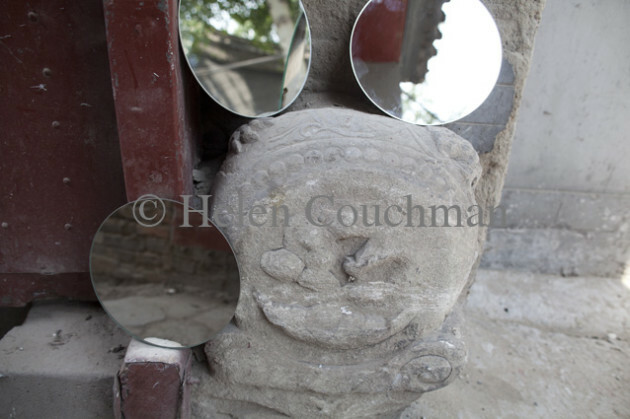 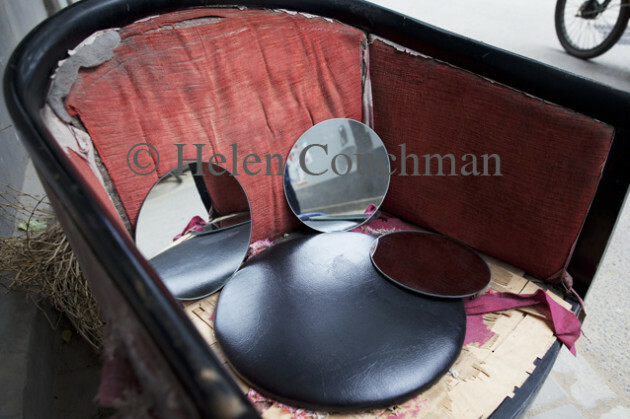 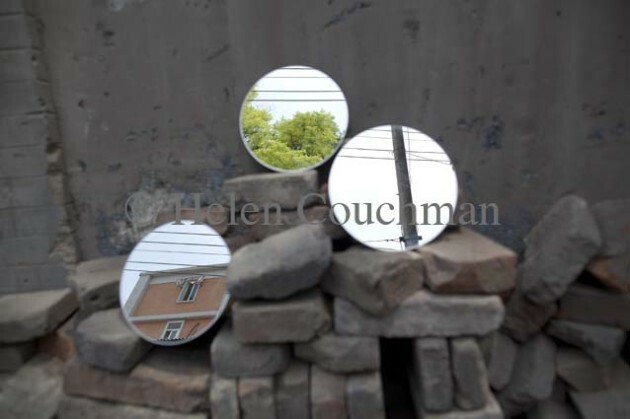 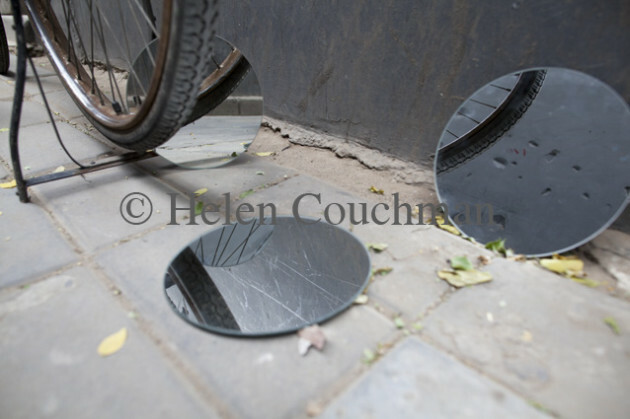 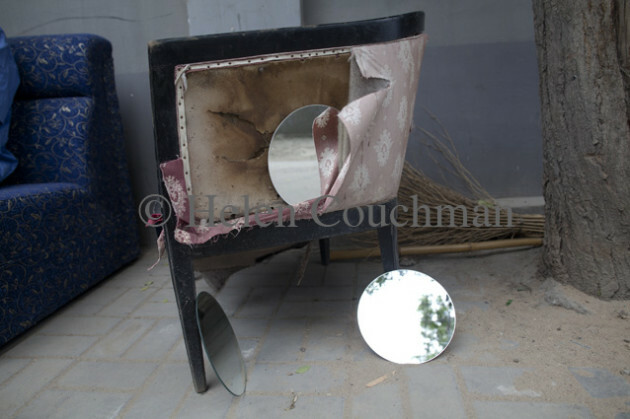 Couchman has headed out into the streets armed with a camera and three mirrors. 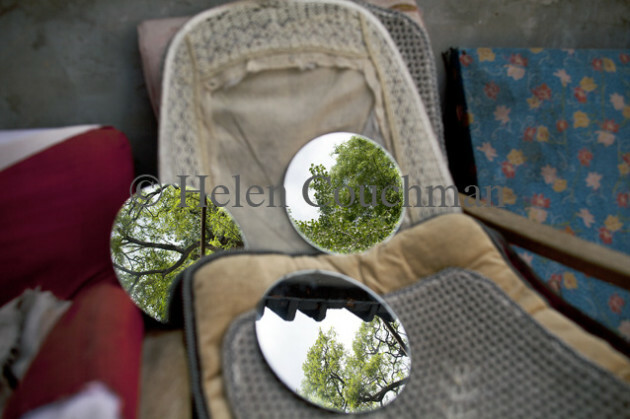 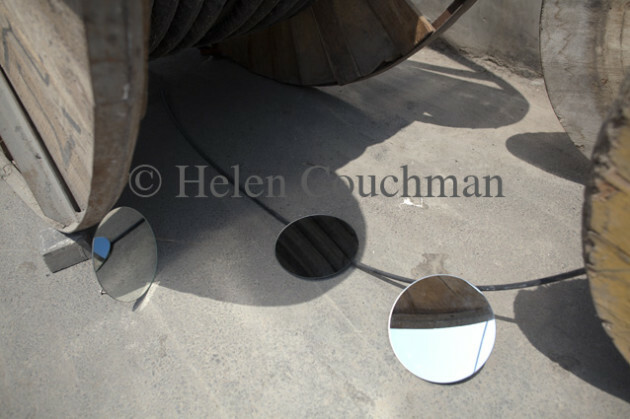 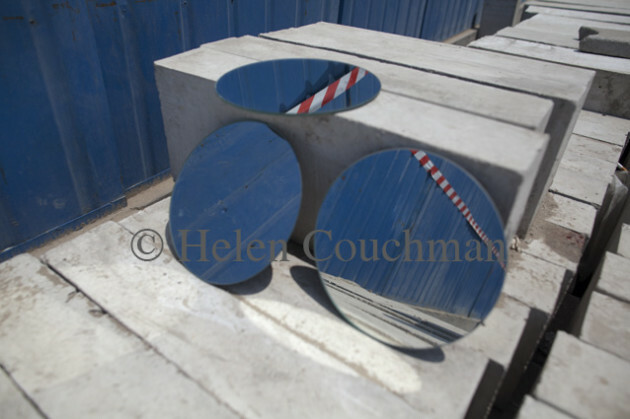 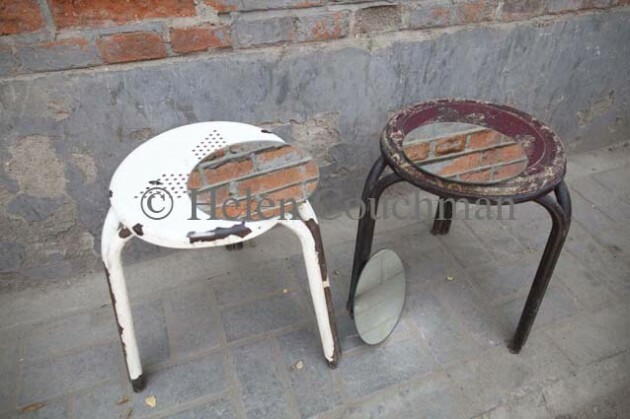 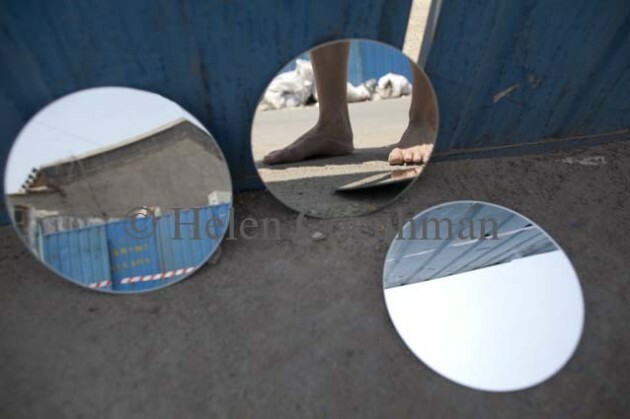 The mirrors are used to fuse the different elements of the photographed scenes, both material and immaterial. 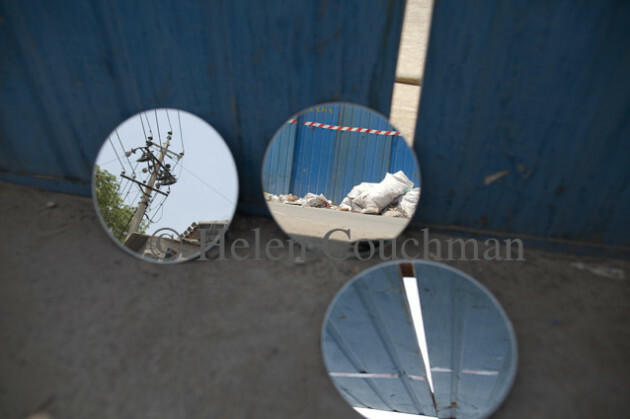 The result is not the illusion of a cityscape but rather an intimate yet distant exploration of the fabric, and texture of a city whose detail as well as vistas are in flux.